Jeff Lemire's Blog: SIGNING THIS WEEKEND: LONDON, ONTARIO! SIGNING THIS WEEKEND: LONDON, ONTARIO! 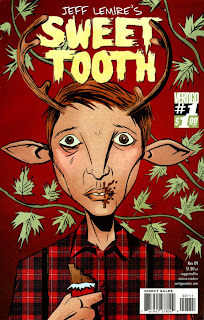 Creator of the critically acclaimed books: Essex County, The Nobody, and the new DC Vertigo series Sweet Tooth! From 11 AM until Noon, Jeff will be on hand to do a Q&A session with the Graphic Novel Group, all are welcome, but there is limited, reserved seating. Afterwards, he will be in the store available for everyone for signings from Noon until 3PM. He will do sketches for $15 and have original art for sale. Read the new New London Free Press Interview!